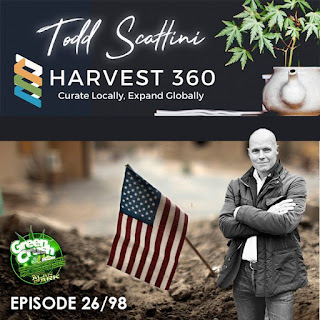 Todd Scattini is a three decade veteran of the US military. There he learned more about cannabis than most people learn in their entire lives. Now a civilian, he brings that knowledge to the world with Harvest 360, helping people help themselves understand what a powerhouse and miracle substance, this beautiful plant really is. Any sufferers of brain injury will want to know about this. Special thanks to Cannabiz Daily for hooking us up. A vivid reminder of how much involvement the police have in interfering with cannabis consumption, two of the dispensary-raiders made asses of themselves eating confiscated edibles. This triggers the reminder that all officers should be screened for cannabis consumption before and after their shift. Terence McKenna, noted psychonautic researcher, pops his head in for inspiration here and there along the way. We close out the show with more insane conspiratorial ramblings from the long deceased American lunatic, Harry Anslinger. Larger by the day is the awareness of the many, of the powerful magic of an easily obtainable plant. 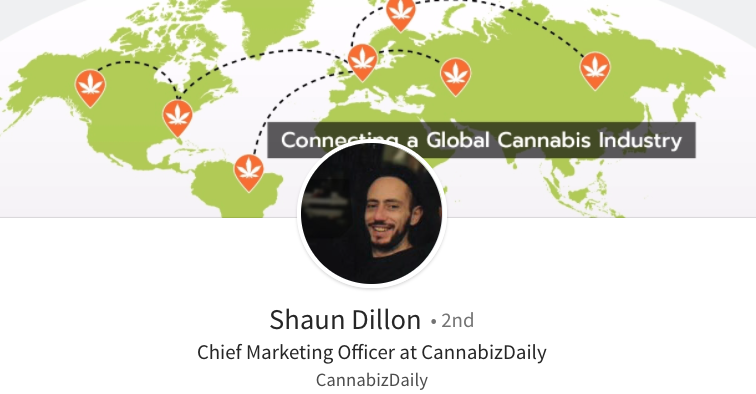 Our guest today from cannabizdaily.co – chief Marketing Officer Shaun Dillon, is helping people around the world connect with this information. Following a typical news round up of what’s going on globally with cannabis, we speak with Shaun and get his very informed take on how best to quickly increase your knowledge base on this very helpful product - plant - science. And those cannabizdaily folks ask you to pepper their inbox with questions and help, they want it all. Closing out on the conspiracy angle – no other option to consider, as the desires and the scientific data point to widespread legalization but the legislation keeps veering off in the opposite direction. a cane to walk, a certain death. No longer able to make that show while looking for a way to live, there were all of those FACTS out there, yet I was told, "there's nothing else that can be done." On Conspiracy Queries - I asked questions about situations not fully resolved in my mind. This was the show. But Cancer put more immediate questions into my mind, nowhere near resolved. This was the Life. And I learned the answer - for me and many more... is in the cancer. The answer, is in the cancer. The answer, is in the C-ancer, C? Like so many problems... the solution was inside the problem. I've shared on this show throughout the previous several episodes - on the internet and on SiriusXM Radio, that I couldn't really do it anymore. That I needed a break... to try to use the cannabis oil. Thank you Rick Simpson, still need to talk to him. Thank you good sir.Feeling better 3 days after first ingestion, I learned more about cannabis and realized - we can't really talk about cannabis without talking conspiracy. Revitalized, 'GreenCrush with Alan Park' was created for others to share and benefit from this knowledge, it was actually ConspiracyQueries the whole time, lasered in on the topic that would save my life. When the big 3 doors are closed, there's another. But some people don't want you walking through, giving it a try, especially when their degree tells them, you're going to die. The 4th door to stage5 made its case. 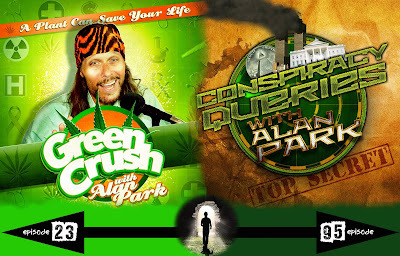 And so it's episode 23 of GreenCrush. And it's episode 95 of ConspiracyQueries. On I go to experience creative and research efforts using the two interwoven strands, encompassed and intertwined. It works for DNA, why not me? We are open to your helpful support so please consider making a donation via Paypal or at Patreon.com. Your support helps us to make new shows. A plant can save your life.